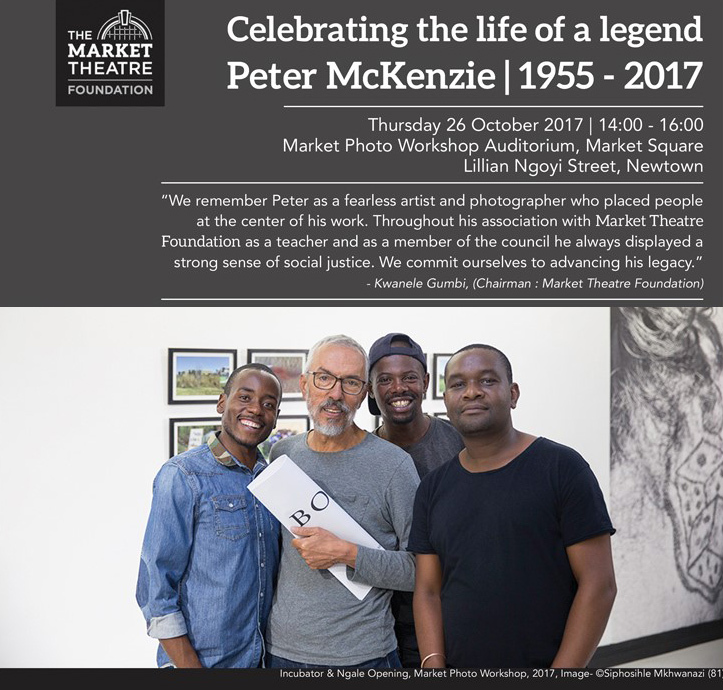 On Thursday 26 October people in the arts, photographers and media will come together at the Market Photo Workshop to participate in a celebration of life service to remember and honour the life of Peter McKenzie (1955 – 2017). 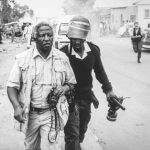 The legendary photographer, teacher and activist Peter McKenzie died in the early hours of Friday 13 August 2017. Celebrated as a founding member of the Afrapix Collective, Peter has left an inspiring legacy in South Africa. He served on the Council of the Market Theatre Foundation since 2008 and was a dynamic curriculum consultant, teacher and mentor at the Market Photo Workshop. His most recent exhibition, Theemeri – walking on a bed of flowers, closed at the Market Theatre a fortnight before his death. Peter was as much a lover of theatre as he was of photography.